Anchored in Jacksonville, Florida on the Ortega River, the Marina at Ortega Landing is a community where boaters -- long-term or transient -- enjoy the yachting lifestyle. 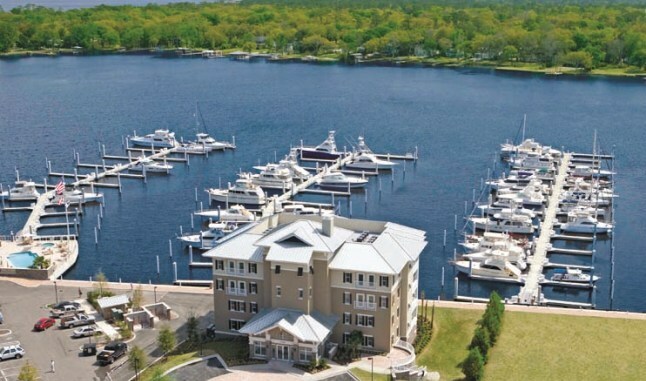 The brick-line esplanade leads you from clean docks and slips to the marina office and clubhouse, where you are greeted with a smile and welcomed to the family. On a hot day, our sparkling pool beckons. Need to work out tense muscles? The spa awaits. On our rare rainy days, enjoy the clubhouse with large-screen television, books and chess board or sit out on the covered deck and watch the boat traffic on the Ortega River. If you're lucky, you'll see the local bald eagle or catch a glimpse of a manatee.